Pekka Peura, Physics & Math teacher from Martinlaakso Upper Secondary school talks about transformation in learning. Maria Muuri is a primary school teacher at Matinlahti School, Espoo, where she has been working since 18 years ago. She has witnessed many drastic changes in the field of education in those years. She mentioned that the current education has placed more focus on the future perspectives, such as the skills in dealing with information and communication technologies, and students start learning them from a relatively young age. The same change has also brought new challenges to our teachers. On the one hand, teachers have to keep acquiring new knowledge and technical skills; on the other hand, they have to get accustomed to the ever-growing student group size as well as personalize teaching practices for different students. “If the group is big, sometimes I feel like there is not enough time to make it happen since it requires a lot of precise planning” says Maria. However, Maria claims that the biggest challenge she encountered so far while teaching new technologies lies in students’ diversed proficiencies in operating tech products. “There are always cases where one 7-year-old is already familiar with how to use computers while others have to start from scratch”. This in turn created new new puzzles to us teachers. “Sometimes, I have this feeling that this student actually knows more than me”, Maria added. The future skills are no doubt of great importance to our students, but we also need someone who could teach those technologies in a proper manner. Matinlahti Schools participated in a pilot project by using our applications in a real class setting. As a part of a math class, a group of second graders tried out Connect the Dots game. In order to complete the challenge, the students had to go through a series of connecting tasks regarding number sequences. They also had to learn how to play with tablets and 3D modeling at the same time. Maria commented “It was great to see my students showing so much enthusiasm and being open-minded about the technology, and some of them have already begun to work with each other in 3D printing their models out”. And when it came to feedback collection, the game won many thumbs up from the parents; and all of the students were actively involved in speaking about their thoughts and ideas towards the game when they knew their voices will be used to improve the game. 3DBear is aiming at developing learning games involving multidisciplinary subjects and catering to children with different ages. Just like the game Connect the Dots, a student gets to learn about number sequence, which is the basis of modern software development and 3D modeling, at the same time improving his or her perceiving measures. Want to spice it up? Get a VR goggles and see how it goes! Make Your Library Great Again! A voice from the library side! For 3DBear, libraries are considered as an important medium in promoting 3D learning. In the spring of 2017, we officially launched cooperation with libraries, hoping this link could bring our goal of unleashing the power of 3D learning one step closer. Located in Iso Omena Service Centre, Espoo, Iso Omena Public Library is one of our first library customers. It is also a pioneer in building in a custom-made Maker Space among the many public libraries in Finland. 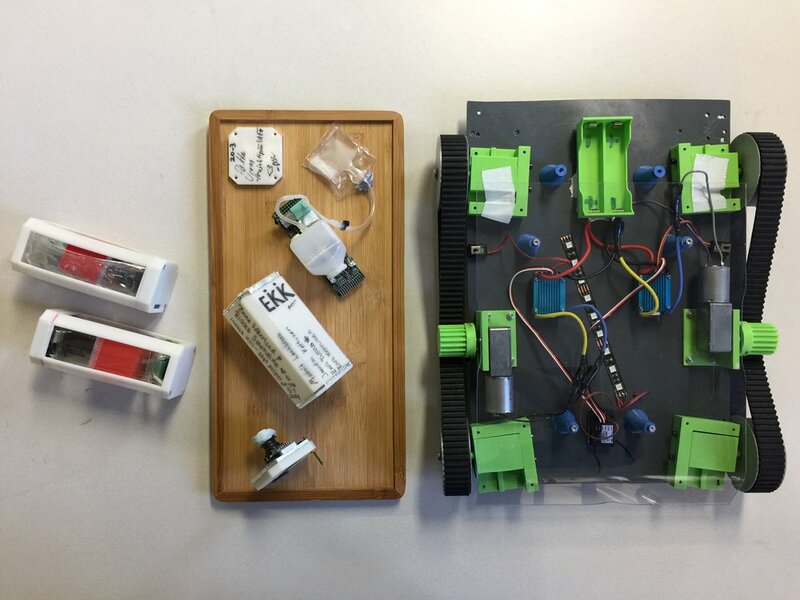 Except ordinary day-to-day service, the library is providing technical support to local makers as well as cooperating with schools that wish to include technology-enhanced learning projects. Having supervised multiple school projects, Antti Luoto, the educational information specialist at Iso Omena Public Library, has some informative insights to share. “I have witnessed what children can achieve nowadays with the assistance of technologies. No matter it’s about using iPad to create music or carrying out oil-water separation experiment”, “we libraries should definitely function as a place to introduce advanced technologies, such as 3D modeling and AR, to our general public especially our youngsters so as to prepare them for the future”, Antti continued. He also brought up an intriguing fact about the library in Aalto University, “Do you know that they no longer call it a library, it is now known as Learning Center? I believe they are trying to send out a message that the future library will no longer just be a place where you go to ‘loan’ knowledge and information, but a space where you go to create new meanings and learning experience. It will take on a role of information and technology centrum”. It is indeed true that many libraries in Finland has started to purchase advanced gadgets in order to keep up with the trend. However, based on our observation, the frequency of utilizing them in learning new technologies is still low. When being pointed out, Antti attributed this gap to the lack of efficient learning materials. “When a group of eight-year-old decide to go to a library to learn 3D modeling, they won’t be attracted by a dreary lecture regarding how this technology works. On the contrary, they will surely fell for the content that allows them to 3D design and print their own toys, and that is the very reason we chose to work with you!” He also stressed that our applications have cut down the level of difficulty in comprehending and operating 3D design tool, and a librarian’s workload could be substantially deducted if he or she uses our game applications to lead 3D-related learning activities for children. “Make your library a maker space” is what places Antti and us on the same page. As an advocate of technology-enhanced learning, 3DBear will always strive to optimize learning experience by making high technologies easily accessible, and we would love to see our libraries transforming from a knowledge warehouse to a knowledge headstream, right now and right start from 3D design and printing.